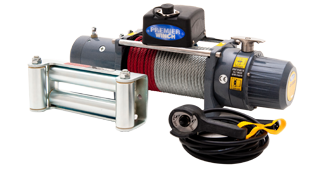 You need a winch that is powerful enough to pull your vehicle and overcome the added resistance caused by obstacles like water, mud, sand or steep hills. Premier Winch offers a range of Automotive and Industrial winches that can do this and more. The heavy-duty wound motor for the DV-9000 delivers superior torque output and faster line speed.